Automating systems for disclosure may be the best option to strengthen transparency. Rohini Pande, professor of public policy at Harvard Kennedy School, co-directs the Evidence for Policy Design Initiative. Eric Dodge is data analytics lead at EPoD. India’s RTI Act, which completed its first decade of implementation this year, is arguably one of the world’s most widely used freedom of information acts. In one year alone (2011-12), over two million requests were submitted to the Central government and 10 of India’s 29 states. Yet, choosing to file an RTI is not always an innocuous act. 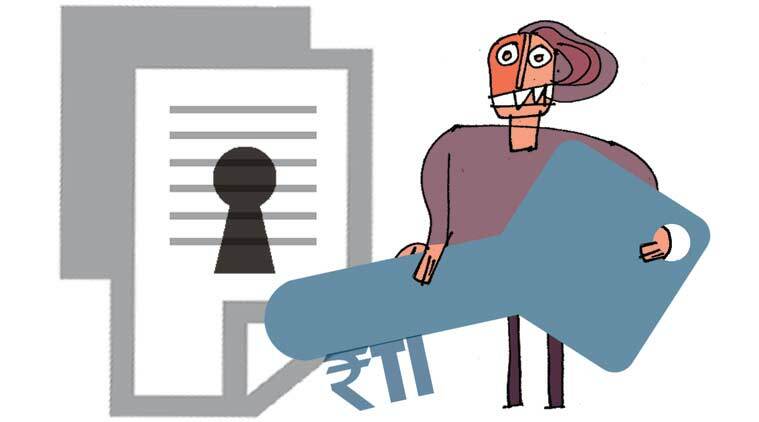 Exposing corruption can make you enemies, and accounts abound of RTI users and activists being threatened, harassed, even assaulted or killed as a result of their requests. As the RTI starts its second decade, we need India’s government to ensure that information provision has a more impersonal face. This requires the government to invest in a data infrastructure that will allow it to go from passive to active transparency. The RTI and other freedom of information laws around the world are examples of how governments offer transparency, but passively. The citizens are the active agents, filling out request forms and, in the process, often dealing with resistance and delays. In recent years, many countries have opened their administrative datasets to the public, with several goals in mind: To make government more transparent and accountable, track progress toward performance targets, and help policymakers and administrators do their jobs effectively. Such active transparency brings huge benefits to citizens who can directly access data without filing requests. Citizens also benefit indirectly as researchers begin to use this data for a range of purposes, including to evaluate policy. While active transparency requires technical and organisational know-how as well as political shifts, as researchers engaged with the ministry of rural development (MoRD) on making MGNREGA data usable, we are convinced that active transparency is possible in India. From its inception in 2005, the MGNREGA has shown a commitment to transparency. But in 2013, when we had a look at the website providing access to the data — one of the largest databases for a social programme in the developing world — we saw that its design made the data difficult to access and use to gain insights for research or to improve implementation. In collaboration with the MoRD, we created the MGNREGA Public Data Portal, an interface designed to serve as a one-stop shop for over 50 indicators deemed crucial for evaluating the MGNREGA. In the process, we identified three lessons on what it would take to foster active transparency across ministries. First, invest in technical inputs. Ironically, safeguards against cronyism, which are otherwise beneficial, can keep ministries from hiring the technicians needed to complement the skills of their staff. The government can also improve its digital services, especially website speed, by increasing the use of open-source technologies, which avoid costly licensing fees that can create procurement bottlenecks, and by taking advantage of efficient cloud web-hosting services. Second, encourage collaboration between policymakers, researchers and technicians from the get go. Our team at Evidence for Policy Design has created a method we call “Smart Policy Design”, where researchers don’t just provide answers, they sit down with policymakers to help formulate the question. Together with MoRD officials, we determined the best indicators to track and how to present the data. Then we worked side-by-side with technicians at India’s National Informatics Centre to build the portal. (That’s literally side-by-side: We often worked two to a computer, as there were none to spare.) Since completion, the ministry has not only maintained the portal, it’s updated it, making it more robust and versatile. Third, employ “agile” methodologies. The tech team at the National Informatics Centre and the “client” — bureaucrats — struggled to communicate and meet each other’s needs. Software developers now widely use “agile” methodology to keep fast-moving projects from going astray and creating waste. Using a clearly defined set of user needs, the team creates prototypes and proceeds through short rounds of cooperative iteration. This method can benefit a wide range of government initiatives by keeping all sides informed and involved, and the project on track. Through the portal, MGNREGA data now enters the public sphere automatically. Mention increasing automation in government and you risk conjuring images of grey dystopias, where the government has no human face and the citizen is just a number. However, automating systems that are currently in the hands of biased individuals may be the best option to actively increase the data the programme produces on itself and, thereby, strengthen human rights and quality of life. This will take money, and policymakers grapple not only with tight budgets, but often with organisational resistance to change. However, investments in data infrastructure are like investments in physical infrastructure such as roads and power lines — up-front costs may well be outweighed by long-run benefits. Plugging some of the MGNREGA’s many holes could itself pay the costs of automating aspects of its implementation. Automation can serve purposes outside the immediate operational concerns of the particular programme. The Sustainable Development Goals (SDGs) include Goal 17 on revitalising the global partnership for development. This includes efforts “to increase significantly the availability of high-quality, timely and reliable data”. Although it is the last goal on the list, it would enable us to track progress on all the others. The “timely” aspect is key: The more real-time data we have, the earlier we can correct ourselves and set a path toward goals that will improve the lives of individuals. And the best source of real-time data is a machine programmed to broadcast it.